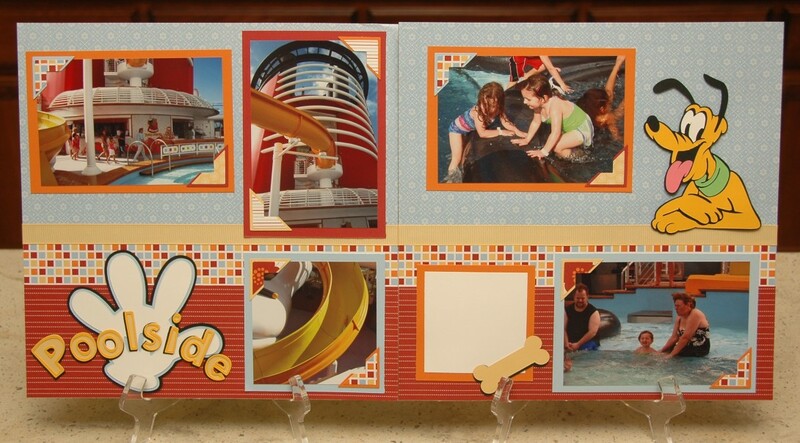 Monique Griffith Designs: Disney Cruise Layouts - Part 2. Plus a Question!! Gorgeous layouts. I'm voting for "a" and/or "b". I bought Ocean of Words for the wave icons (and it was on sale!). Any and all of those sound great to me. How about a different topic on a regulaar basis each day of the week. I'd love any and all of those topics!!! Specifically the layout one, patterns and color choices and gypsy though. Your work is beautiful. I would love more on Gypsy tips and tricks! I know there are still lots of things I have to learn about my Gypsy! I would love tips on mixing patterns. I have such a hard time doing that. I always fall back to a pattern with a solid color. Please, please, please do the principles of design. That's something I have skipped in my scrap book process and I really want to improve and grow. I especially would like to learn how to incorporate the "rule of three" when it comes to 2-page layouts. I vote for a & b - the other topics it seems there are a million blogs covering those. Your layouts are really beautiful and learning how to do great layouts with patterned papers and the way to lay out embellishments. I already know how to use the machines, so I'd prefer b. I always need design help & inspiration. Beautiful, classy layouts. I'd vote for Gypsy tips. Thanks. Super cute. You are giving me great inspiration for my Disney photos! Cute, cute layouts! I'd love to learn more about the principles of designing scrapbook pages. Thanks! Layouts would be my #1 and principles would be #2 Your designs alway inspire me! thanks for what you do. Thanks for the disney layouts--I'm working on an album for our disneyworld trip planned for 2013 that way I can pop the photos in when we get back! :) I choose "b" as I think I know how to use the machine, but I'm still at the one piece of paper on the mat at a time stage...how do I jump to someone who can figure out how to put all the components on at once and cut away? Monique, those are gorgeous. You are really making me want to leave this snow and go on a cruise! 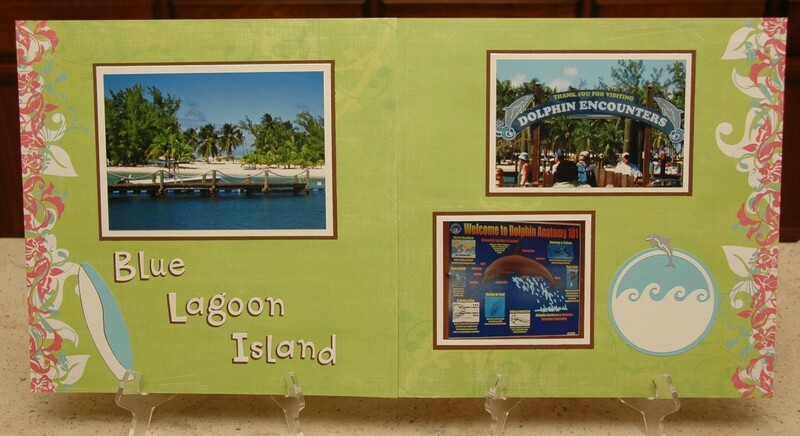 I would like to see instructions on layouts and cards as well as info on the E2 with the cricut craft room software. What great layouts. I would love to be taken step-by-step on how you do your layouts. From color choices and what cuts you decide to use. I also would love more Design Studio and Gypsy tips. I have never really used the Design Studio but love my Gypsy. Hi Monique, the Tuff Girl layout class was fun and so good to see you all back in action. I think I would really like to learn more about my Gypsy. I've had it since Christmas and really only seem to play with it and not use it for it's designing and cutting purpose. Also on your custom layout idea, I was wanting a doggie layout, but now I'm liking your suggestion of a Buggy layout with your new exclusive cartridge. I love how you can put such different papers together for a striking layout. Most are things I would never choose. A and B, and design studio. I like the different topic each week idea. I think learning more about the actual design work- mixing patterns and colors, making elements pop, things like that- would be fabulous! Good morning. Your layouts make me want to take a Disney Cruise. My vote would be for a or b in regards to layouts. I am always amazed at how beautiful your layouts are and I would love to learn how you do it day after day. Love the layouts. I would like to see more about how you design a layout. For example, I like how you mix up to 3 to 4 papers on one page. For me, it always seems so busy, but on your pages, it is amazing. I need to get out of my rut. I love that you make such beautiful detailed layouts! (my favorite blog!) Not many people make layouts, mostly cards, so my vote would be for more of those! and how you incorporate the design studio or gypsy in your layouts? whenever i see a card or lo that i especially like i would like to see the step by step instructions. I commented on facebook to this question too. I love to learn new techniques. Anything new and different is cool. I also would love to learn more about design principles, I think the more I learn the better my layouts will be. I love what I make, but understanding why something works or doesn't work can only make things even better. Love seeing the Disney Stuff! I am a big Kid at heart when it comes to Disney. I would love to learn and hear more about the new things coming out. Your cards are beautiful . I just love you Disney layouts. Beautiful Disney layouts!! I vote for a or b. I would like to learn more how to make my layouts pop and standout more. Beautiful layouts as always! I would love to learn more about your design process: choosing patterns and papers and combining everything so that it pops. Cute layouts! I think a or b. I would love to see the cricut cake in action- not sure if I would use it enough. I would love a Monique designed wedding layout since my son got married in Sept. I would love posts on design principles, especially mixing patterned paper. I seem to have so much trouble with that. And I would love a tutorial on where to put the little white dots on all your cuts to make them look right. Step by step instructions for layouts would be great too!!! Beautiful disney memories - I better start scrapping my own soon! I vote for B and then A. I love how all your layouts use patterns that just look so good together and the pages are just seamless. Monique, I always enjoy looking at your layouts. The Disneyland ones are really fun! I have only been at this for about 6 months, so a, mostly b, and f.
Thank you for sharing your talent with us all!! 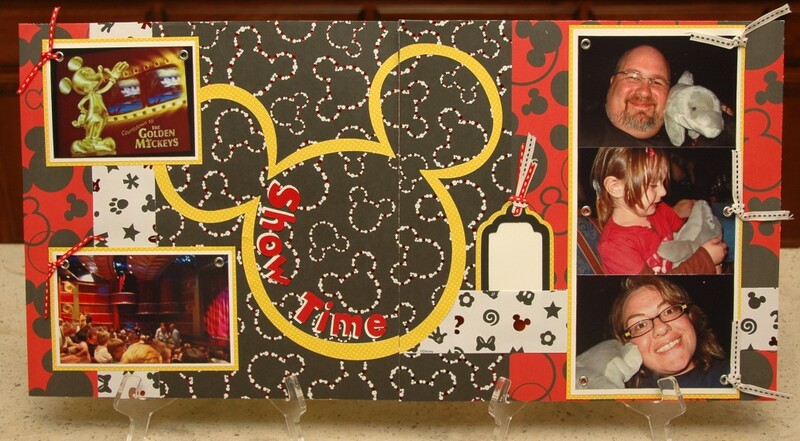 Wonderful Disney layouts! My vote is for "a" and/or "b".Have the CDS, but don't use it, it makes me so frustrated, don't have a Gypsy or Imagine and probably won't get one; I LUV my Expression... I get stuck and need design help & inspiration. Thank you! Lovely layouts TFS!!! I would love to learn about b.Principles of designing...Thanks! I vote a,b,f and g but I read your blog everyday anyway. Whatever you post I'll enjoy! I would love to have more help with design....making things POP! You do so well with those aspects, and tips would be well appreciated, Monique! I just love everything your team does...how is that possible? Great layouts as always! Your layouts are my absolute favorite, I would love to learn more about how you choose your patterns, colors and cuts and make it all work together. Your detailed work all flows so nicely in each layout, how do you make that happen every time? Would love some tips and techniques from you. Thanks! Really cute layouts! Makes me want to go to Disneyland! I'd love to learn more about the Expression Mode buttons. There is so much that can be done with our machines. And I would love to know more about how to's and why's for Design Studio. That would be so awesome. Thanks for even asking us what we'd like! I have to agree with the rest "B"
I love all these adorable LO pages. As for your question I would love to get information on all of the areas you mentioned. At this time I am thinking about getting a gypsy and I am not sure that it is worth the money. I like the idea about doing something different on the list daily. I would love step by step instructions on layouts etc.. as well as info on mixing patterns and how to match them up. I always try it but it just doesn't work especially when they are not from the same pack. Hi Monique. Love your layouts. My favorite things to learn from you are the Cricut directions for layouts and learn more about all the buttons and options on the Expression! Of course, my third option would be to learn how to mix and match patterned papers. Oh my, I'd just love to learn ANYTHING from you!!! You Rock!! What beautiful layouts..I'm drooling for talent like that. My votes would be 'let's start at the kindergarten level', but as that wasn't suggested . . . . I received a Gypsy for Christmas, still don't understand it. I also received an Imagine w/8 carts (used it maybe 3 times). I have Design Studio (use it mainly for searching out images). I have an intense love for card making but I'm sure you can tell I'm lost when it comes to the aboved mentioned tools. So here I sit with a fortune of "stuff" I don't understand how/what to do with. I would love to learn more about Principles of designing - such as mixing patterns, making things "pop", etc. 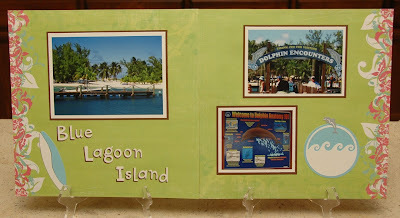 There are so00 many bloggers that do video's showing you how to "assemble" a card or layout, but never any discussion on why you picked certain paper and certain embellishments with different types of Titles and photo placements. Your layouts are great & would love to hear your thought process on putting the layout together! I vote for (B)Principals of Design. I'm always intimidated by mixing patterned papers so I usually end up using plain stuff. I want to spice up my layouts! ohhhh this one is easy! I want step by step directions!! Ilove your work! I have some Disney photos I needed the inspiration of your layouts for .TFS. To answer you question a and b for sure. Also i don't use my DS as much as I should because I can't get it to work like I want it to. I love to hear about new things comeing out and am very excited about Craft Room since i get lost with DS. B would be my choice. I can get things almost there, but they usually don't look completely put together. 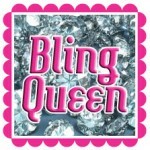 I'm a new follower -- Your layouts are BEAUTIFUL!! I would LOVE to see step-by-step directions... I'll be checking in often!! Thanks so much for all the inspiration!! I would LOVE to do a principle of design class. Or learning things on the Gypsy. Love the layouts too. I will have some pictures to scrap of Disneyland. Great layouts!!! My vote is for A. Thanks for everything you do! great layouts! I would love to learn the step by step directions for some layouts!!! Great layouts! I would love to have step by step directions for layouts so I can easily copy your work! Techniques would also be great! Love to see your gorgeous layouts. I'd like to learn how to make simple cuts appear more sophisticated. I'm sure you have some special tricks~! Hi there, I'm voting for a...and I would love to win anything. Love the butterflies, great job. I love the designs. 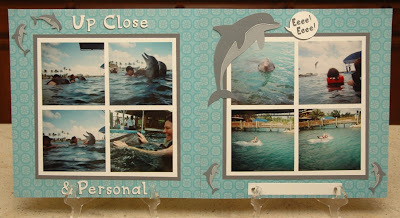 Would like to learn more about scrapbooking. Thank you for sharing with us. So adorable. I look forward to your projects. I know I'm late (for some reason, I wasn't getting your email updates-not that I've had any time to be online anyway), but I would love to see a bit of everything! I love your videos (makes it so much easier to see what you mean)! I also just got a new Gypsy (which is intimidating to me), so I would love for you to share some tips. And your layouts are the best, so your step by step directions are priceless!!!!!!!!!!! 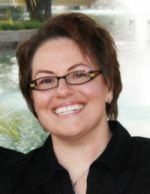 I love your blog, no matter what you do! 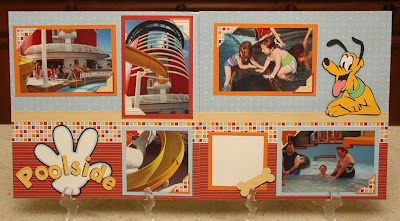 I seldom drop comments, however i did some searching and wound up here "Disney Cruise Layouts - Part 2. Plus a Question!!". writing at other social sites, I'd like to keep up with anything fresh you have to post. Could you make a list of every one of all your communal sites like your Facebook page, twitter feed, or linkedin profile?